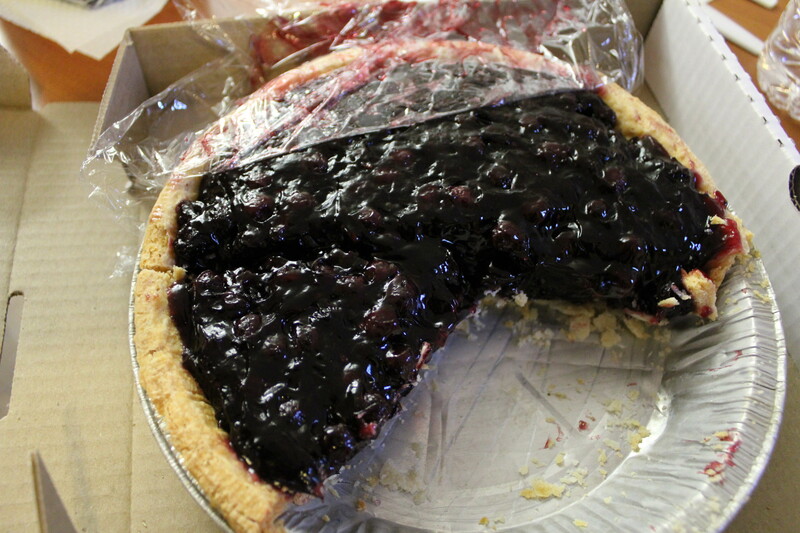 Saskatoon Berry Or Juneberry? A Super-Food War Is Brewing Between Canada And The U.S.
Mmmm .... Best berries ever !!! Well, if it's the name of an ascendant super-berry proclaimed as the next gojiaçaíbig deal then it could be around $10 billion. That's how much some predict the next super-berry industry will be worth by 2017. Trouble is Canada and the U.S. have very different ideas on what that berry should be called. North of the border, this beguiling blue gem is dubbed the saskatoon berry. American aficionados prefer to call it juneberry. “There are certain things that Canadians and Americans do differently and names on things happen to be one of those,” Jim Ochterski of Cornell University’s Cooperative Extension tells Time magazine. Cornell's Cooperative Extension has gotten behind the berry in a big way, bringing plants back to Michigan from Canada and cultivating its first modest crop in 2010. But then, according to Time, Cornell asked the president of the Saskatoon Berry Council of Canada to rename the berry. The president, Sandra Purdy, was not impressed. Perhaps because Americans have had some trouble wrapping their mouths around pronouncing the açaí berry (AhhSiEEE), the industry is looking for an easy-to-say name. After all, as nutritionist Jonny Bowden tells CNBC, "Booming superfruit sales are a triumph of marketing over science, that's the bottom line." The thinking goes if the saskatoon — a hardy berry known to defy low temperatures, drought and even downright inhospitable soil — is going to make a name for itself abroad it had better be pronounceable. Forgive us for being a little biased. But we're not talking Fahrvergnügen here. Saskatoon is consonant-rich. and fortified with wholesome vowels like "a" and "o" — so very unlike that slippery specimen açaí, with its dangling symbols and vaguely onomatopoetic overtones. Presumably, Canada pulls a little more weight in the nomenclature department thanks to powerful cultural and physical ties to the berry. After all, saskatoons — yes, we're sticking with it — are so very rooted in Canada. "The saskatoon, Amelanchier alnifolia, is closely related to the apple, mountain ash and hawthorn and thus also a member of the Rose family. The saskatoon has long been a treasured wild fruit on the prairies; historically, it was important to the aboriginal peoples, and subsequently to the voyageurs and European settlers." 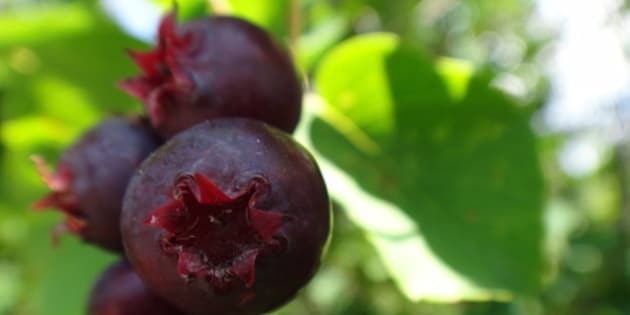 The modest berry only flashed its superstar potential, St-Pierre adds, in the 1980s when publicly funded research dug a little deeper — finding a trove of antoxidants. 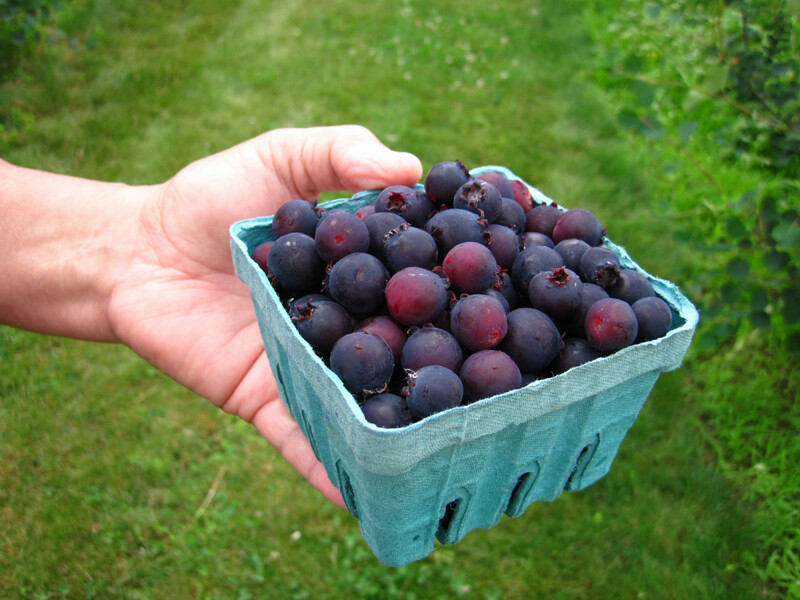 Specifically, saskatoons are rich in phenolic compounds, a trait shared with wild blueberries. It's also a quality much-prized for fighting bacteria and viruses, and possibly even cancer. The city of Saskatoon, Saskatchewan's biggest, is even named after them. And Canada still dominates the market, growing some 575 tonnes of saskatoons last year, according to Time, compared to America's paltry 5 tonnes. And yes, we make delicious pies with them. We say, let them eat saskatoons. Let us all eat saskatoons. CORRECTION: An earlier version of this story erroneously described Saskatoon as the capital of Saskatchewan. It is, in fact, Regina. Here are 41 of the most healthiest fruits and vegetables ranked according to nutrient density.